After three years of education, architecture students have to start out on their first year of practical training as the initial step in a career in the professional world--all too often without enough clear advice to make sure that their first step is in the right direction. Towards a New Architect helps you to make the right moves. It explores how to research the opportunities available, prepare your CV, make sure that it gets you noticed for the right reasons and deliver a successful interview as part of a clear plan for building your career as an architect. For many architecture students the ultimate goal in their career is to set up in practice for themselves. This book sets out the steps to get there successfully and to make the process enjoyable and fulfilling. Design dynamic: Studying architecture is like learning a language. If you don’t understand the grammar and vocabulary, how can you expect to communicate fluently? 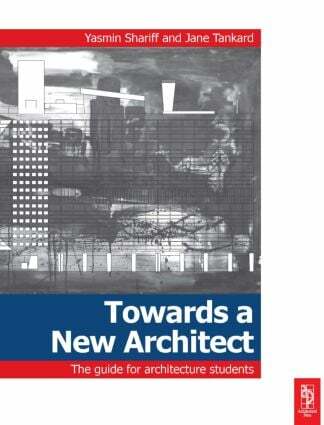 Architectural courses: Your career depends on you. If you want to be an architect in the UK, you need to be on an accredited course: does your university meet the requirements? Your application: How to break into a cut and thrust environment where creative and talented people are jostling for position. Registration: The title ‘architect’ is protected by law in the UK. You can only call yourself an architect and practise if you are registered with the Architects Registration Board. New beginnings: Getting the balance right.